CODA Energy is heavily focused on the California market, and being based in Los Angeles County, we are personally affected by the drought and the policies surrounding it. In 2015, our attention has especially turned to our home state, as our calendar has been packed with events such as Grid Edge LIVE, Intersolar 2015, California Energy and Water Summit, CAISO Energy Storage Forum and others all focusing on the resource challenges ahead for California focusing on the issue of water conservation and energy efficiency, prompting us to reflect on the potential for energy storage to play a role in sustainable solutions to the drought. Energy and water form a tight nexus. Energy is needed to treat, distribute and recycle water, while water is the key component of hydroelectric generation—one of the least expensive sources of energy, and with little to no emissions to boot. Compound this with the fact that hydropower facilities require large amounts of energy to run the system that produces new electricity, and its easy to see how the water problem is going to be an energy problem as well. The ongoing drought has contributed to an 8% drop of energy sourced from hydropower since 2011, down from a 30-year average of 18%, according to a report by the Pacific Institute. With less water available, the state has to turn to “dirty”, more costly sources of energy like natural gas to compensate, and consequently, electricity costs have gone up along with an estimated 8% spike in California’s greenhouse gas emissions. From October 2011 to 2014, residents paid $1.4 billion more for electricity, and this cost is predicted to rise an additional $300 million by next year, according to the California’s Energy Commission. So how does energy storage come into play? 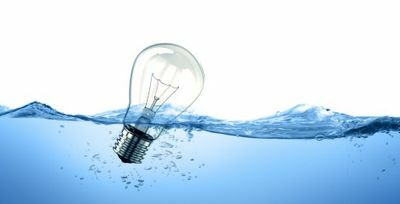 Business owners doubly hit by the water restrictions and steep electricity costs can especially benefit from the cost savings and increased energy efficiency that behind-the-meter storage systems like the CODA Core offer. In addition to paying for energy consumed, businesses also pay a monthly demand charge for electricity based on their highest usage, which can account for up to 60% of their utility bill. The CODA Core™ energy storage system automatically “saves” cheap off-peak energy and “spends” it on-peak when it’s expensive and in demand, with virtually no change to customer’s day to day business. Energy storage technologies are also critical for our nation’s transition to a low carbon economy and renewables-based grid. Fortunately, renewable energy like solar and wind buffers against the rise in greenhouse gas emissions resulting from the decrease in hydropower, and California has made great progress in this area. In 2013 and 2014, renewable generation, especially solar, helped make up about 55% of the hydrogenation deficit. By moving energy demand from the peak hours to off-peak hours of the day (i.e. load shifting) and opening up the possibility for allowing renewable energy generated from intermittent sources to be stored and used whenever the demand requires it, energy storage solutions like the CODA Core support the adoption of renewable energy and clean transportation, while contributing to a modernized, stable grid that meets our nation’s evolving energy needs. There are many varying opinions circulating about the effectiveness of the new water regulations and its impact on businesses. No matter the critique, it’s our hope that the water regulations will mobilize more businesses to rethink the overall efficiency and resilience of their facilities and operations, energy included.